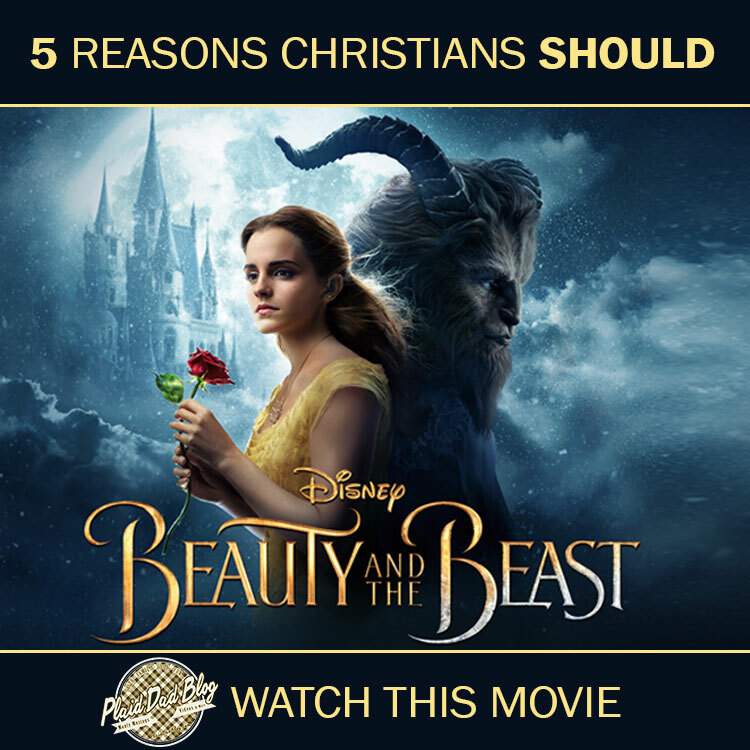 Earlier this week we posted an article, “The One Reason Christians Should Boycott ‘Beauty and the Beast'”. If you haven’t read it, we encourage you to read that post in its entirety before reading this one. 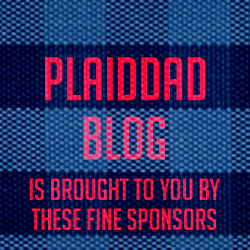 Our post from earlier this week has sparked a lot of great discussion among both Christians and people who are not Christians about film, the effectiveness of boycotts, and how Christians should determine what they should and should not watch. 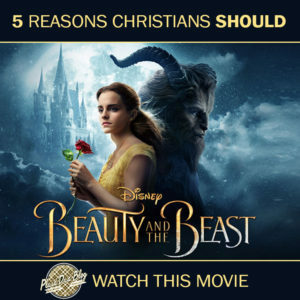 Today’s follow up post examines the proverbial flip side of the coin: are there good reasons for Christians to watch “Beauty and the Beast”? The answer is a resounding “YES.” There are grand themes that resound throughout the film that we can use as a bridge to talk to our children about spiritual things. * Before I go any further, let me reiterate to our Christian readers: if you, in good conscience, feel like you cannot see this film, that’s OK. But as the earlier post said, you don’t have to broadcast your decision all over social media. First, the film shows there are consequences for sinful choices. A snobbish prince refuses to show kindness to an old woman, who turns out to be a beautiful enchantress. For his transgressions, the prince is cursed–as is his entire world. Whether or not you believe the first chapters of the Bible are history or story told for a spiritual purpose, the story of Adam and Eve is similar. They chose to sin, and their world was cursed and infected by sin. The entire Bible shows us the consequences for sin. We experience the consequences of our sinful words and actions almost daily–severed relationships, guilt, shame, and regret just to name a few. This film visualizes what we experience. Second, the film shows an innocent person taking punishment for someone they love. Belle offers to become the beast’s prisoner in the place of her father, who unknowingly trespassed into the beast’s castle and aroused his anger. This illustrates the concept of penal substitution: an innocent party taking a penalty they don’t deserve in the place of a guilty party. This is at the very core of the good news of Jesus. He took our punishment and penalty for sin on himself and off of us on the cross. Third, the film shows the power of sacrificial love. Belle sacrifices her freedom for her father. The beast, knowing he could be under the curse forever, releases Belle from her sentence so she can go save her father. 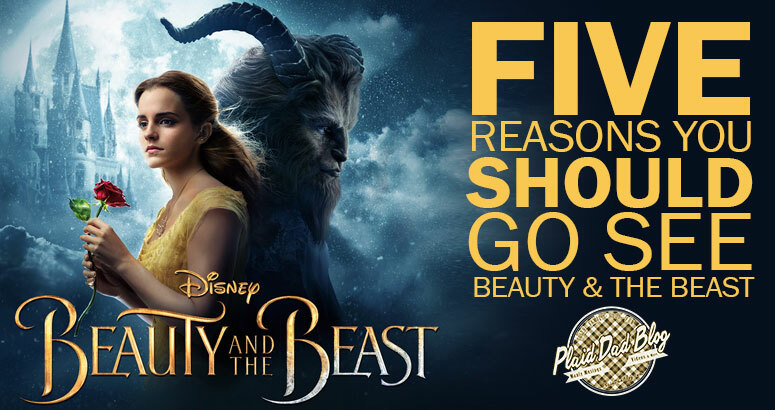 The beast risks everything to protect Belle from Gaston–and it costs him his life. Jesus demonstrated such love for us, and he calls his people to live out such love–a love that decides to do what is best for a person, even if they don’t deserve it, even if they don’t live or believe like we do, even if it costs us. second chance. He allowed the curse to harden his already cold heart, turning his inner person into something that matched his outer appearance. There was nothing he could do to change the curse. Only the love of another could do it. Although this isn’t a perfect comparison (some would say that the beast earned Belle’s love), the concept is true for us. Our sin separated us from God, and only the love of Jesus could redeem us. And if Jesus can do that for us, he can do it for anyone. Fifth, the film shows resurrection and restoration. In the original, the beast dies just before the final rose petal falls. Belle reveals her love just in time, and the beast is resurrected. His kingdom is restored to its former glory. This is the hope that Christians have–that Jesus, because he made good on his promise to resurrect from death, will make good on his promise to return and make all things new, and create a new heaven and a new earth. “Beauty and the Beast” has, in my opinion, much more to commend it than it does to condemn it. The producers of the film didn’t set out to tell a biblical metaphor. But these themes we’ve briefly examined are grand themes throughout the Bible. Christians, we can use this film (and many others that share these themes) to talk to our kids (and others who are curious about Jesus) about these truths of Scripture. Finally, should it surprise us, Christians, that God could use something like the stories told through cinema, which move the heart like few things can, to communicate hints of his grand story? The gospel is, after all, a tale as old as time; a song as old as rhyme. *My observations are from the original animated film, to which the live action remake stays faithful with a few added songs and plot points. Aaron Saufley, author of ‘The Jumbo Shrimp Gospel’ and ‘Deep Roots’, is a husband and dad who happens to moonlight as a hospice chaplain. He thinks Netflix is the greatest human invention next to pizza. He loves hanging out with his family, and when he has the time he also enjoys writing, a good cigar, craft root beer, smoking a mean rack of baby backs, movies, and trying not to die while running. Follow Aaron on Twitter.